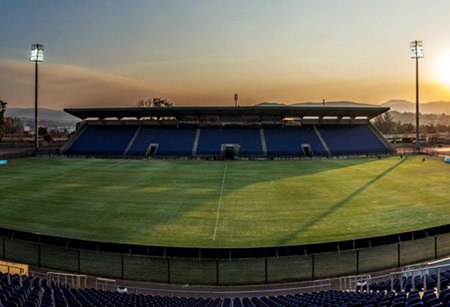 Maritzburg United racked up another Absa Premiership point after drawing 0-0 with Black Aces at the Harry Gwala Stadium on Saturday afternoon. Aces had some early chances, but Miguel Timm was unable to beat Virgil Vries on 12 minutes, while Tendai Ndoro was denied by the post. Sheldon van Wyk went wide of the mark on 25 minutes, United ending the first half strongly as Khumbulani Banda saw his effort saved by Energy Murambadoro before Ashley Hartog headed over the bar. Mondli Cele was thwarted by Aces keeper Murambadoro 10 minutes after the break before Hartog was unlucky to see his header crashing into the bar after 65 minutes. The remainder of the game saw the Team of Choice up against a 10-man AmaZayoni side after Lehlohonolo Nonyane was sent off 25 minutes from time. United pushed hard for late win, but Mohammed Anas was unable to beat Murambadoro, as were Cele and Mkhize, while Hartog flashed an effort wide of goal.